If you’re searching for Will Shortz puzzle books then you may already know who he is, or at least have an idea of his popularity (since you’re searching his name!). 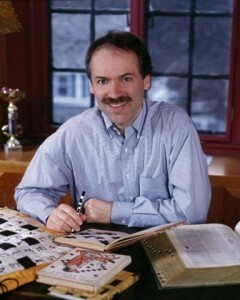 Will Shortz is an extremely popular master puzzler who is probably most well known for being the editor of New York Times crossword puzzle section since 1993. He also covers Sudoku and other puzzle books which I’ll cover in this guide. I’m a really big fan of Will’s and if you’re into his books I’m sure you are too. I want to get into the book guide and reviews first but I’m attributing a section of this article to covering Will Shortz. Will has been the author or editor of over 1000 books so it would be very lengthy to include all of them in this post. I’ll do my best to list the best ones from each category below! When purchasing any Will Shortz books you can expect high-quality puzzles in an accessible format – his crossword puzzle books are no exception. This book is really great and it ticks all of my boxes when it comes to what makes a good puzzle book. It’s no disservice to say that the demographic of pen and paper puzzlers is aging – this increases the appeal of puzzle books with supersized fonts and puzzles largely. 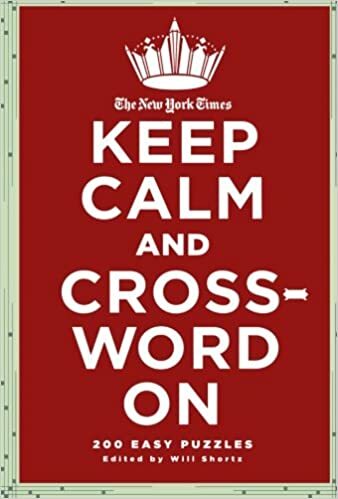 This crossword puzzle book features 500 puzzles (a great amount) straight from the New York Times crossword section that are ready for you to solve. This is a great option to buy for yourself if you’re into crossword, or to purchase for the puzzler in your life. The puzzles in this book are of similar to the difficulty of those found in the NYT. Sunday must be a pretty popular day to do crosswords on since we’ve had two books tiled after it so far! 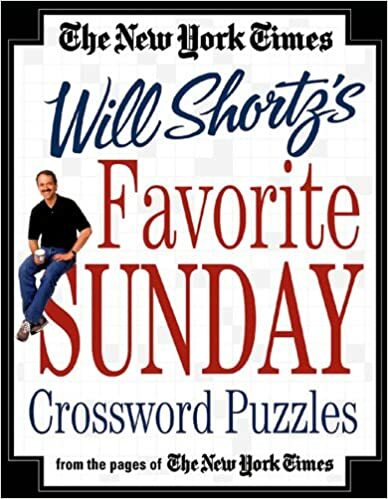 This is another great option when it comes to crossword books by Will Shortz – what’s so special about this book is the fact that Will hand selected 50 of his favorite NYT crosswords and has included them in this great collection. Unfortunately it’s not supersized or packed with 500 puzzles but it’s unique and allows you to connect with the author which is important to me. Now on the list I need to take a step back and include an easier solution book, and I have just the one for you. In this 200 puzzle collection from the NYT will breaks it down a bit for the beginner or leisurely solver – great as a gift or to add to your collection for guest puzzlers! You don’t want to be the one gifting puzzles that are too tricky, it’s a sad sight. Up next, you guessed it! Hard hitting witty, wacky, challenging, the impossible – 225 hand picked tricky puzzles from Will Shortz himself. I wrote about not gifting a puzzle that’s too hard, but it’s also possible to gift one too easy. 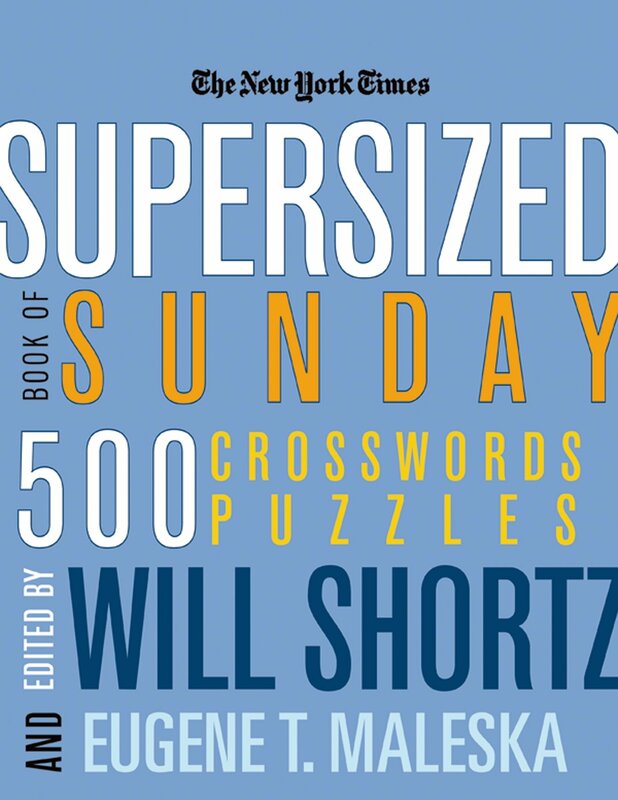 I recommend this Will Shortz crossword book to the seasoned expert who needs a serious mental workout (on Sunday of course). 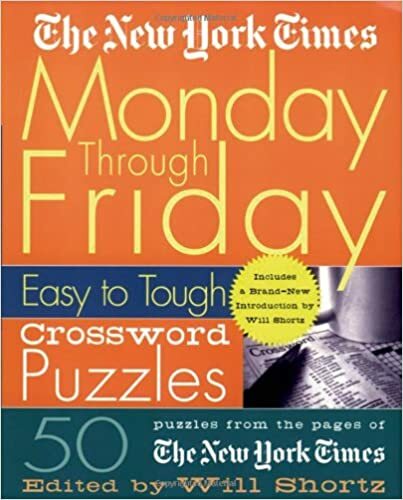 Closing off the 5 best crossword puzzle books by Will Shortz is 50 easy to tough puzzles from yep, you guessed it, the New York Times. If you’ve read any of my other articles you’ll know the best type of puzzle to give as a gift is a multi-difficulty option – like this one! With a range of difficulties there’s something for everyone so these are great for households with puzzlers of all skill, or as a gift to a puzzler with unknown skill. This would also be a great book to get for yourself if you’re getting into crosswords as you can stay with the same book as you improve. That wraps it up for the best Will Shortz crossword puzzle books, any continuation in the series listed here will also be excellent choices. 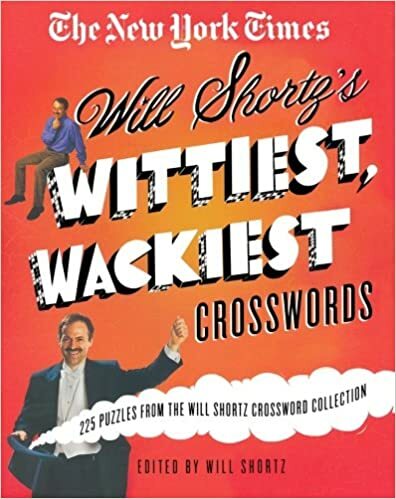 You really can’t go wrong with a Will Shortz crossword book! If you like his crossword books, and weren’t aware of his masterful Sudoku book creations, you’ll love them too. 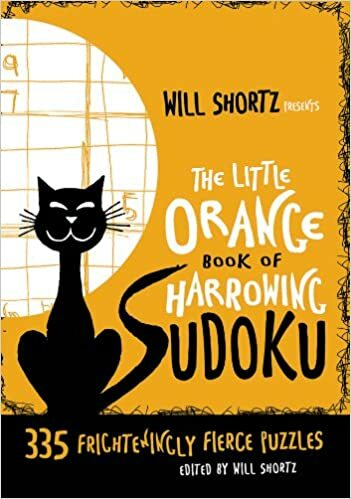 Here are some of my favorite Sudoku books by Will – while there are numerous I’m going to narrow it down to 5 again so wish me luck! 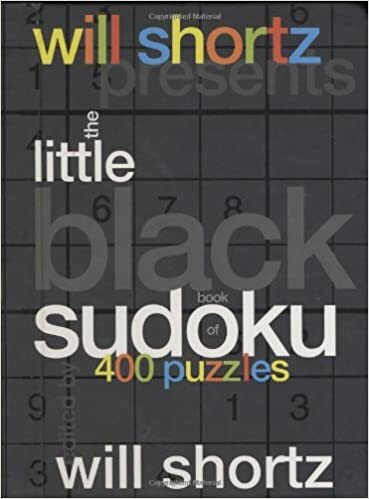 Starting off with a high-volume favorite we have The Little Black Book coming in with 400 quality Sudoku puzzles. This book is an easy-to-hard difficulty range which is perfect for buying for yourself, or as a gift. Improve your Sudoku and grow together with this excellent book option. It was only a matter of time before I got into the killer difficulties, this 200 puzzle “Mind Melting” Sudoku book is only suitable for those grizzled vets looking for a serious mental cardio session. I’m talking stair master level 10 for the neurons! Only pick up this book if you’re experienced with Sudoku – that’s my recommendation. 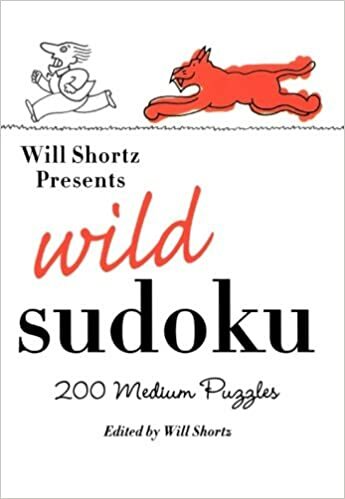 Alright let’s tone it down a bit with this medium difficulty Sudoku book – Wild Sudoku features 200 medium difficulty puzzles for the beginner to intermediate puzzler. I personally think that the easy Sudoku puzzles are too easy to start on so I recommend at least medium difficulty to start out on, however starting on a hard difficulty isn’t unheard of if you’re a puzzle wiz! Sudoku that gives you nightmares! 335 “Frighteningly Fierce Puzzles” comes in this edition of super hard Sudoku’s. I figured I would close out my Shortz Sudoku list with two killer puzzle books and this is the first of two – get ready for the next one! Have you ever been out skiing or snowboarding and said “Oh Sh** I definitely shouldn’t have taken that double black diamond trail!” – well this book is kind of like that, except with Sudoku. 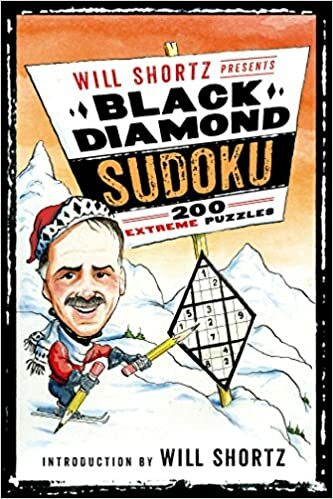 The final Sudoku book on this list of the best Will Shortz Sudoku books is the Black Diamond book featuring 200 brand new puzzles that are extreme, to the max! I recommend this book for the black belts of Sudoku, ready to take on a “Black Diamond” trail of 200 more difficult than ever Sudoku’s. Well that’s it for my top 5 best Sudoku puzzle books by Will Shortz, but guess what this massive guide to all books Will Shortz isn’t even over yet! If you weren’t aware, his grasp extends far beyond mere crosswords and Sudoku, Will is a master puzzler! In this next section let’s check out the best logic puzzle books by Will Shortz, and any other kind of puzzle books he’s mustered up over the years. There’s going to be a pretty wide range of puzzle book styles in this next section, and even the puzzles in each book mary vary unless specified. This is my list of the top Will Shortz logic puzzle books, in no specific order! A logic puzzle is exactly what it sounds like, a puzzle that requires logic for you to solve. It could contain letters, numbers, a riddle, the alphabet, anything really! 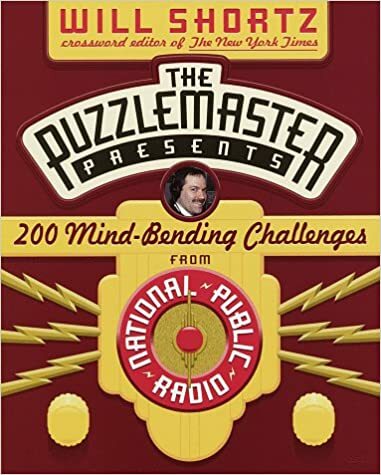 Starting off the list is one of my favorites, the Puzzle Master Shortz presents 200 challenges that range from easy to difficult. This book has a lot of different styles of puzzles from simple word puzzles, more complex logic puzzles and beyond. That’s what makes it so appealing, the diversity that allows practically anyone to pick it up and have a puzzle to solve, and the possibility for you to grow and expand your mind as you solve more and more puzzles from the book. This is the logic puzzle book I recommend to anyone interested in them – it’s a great jumping off point. 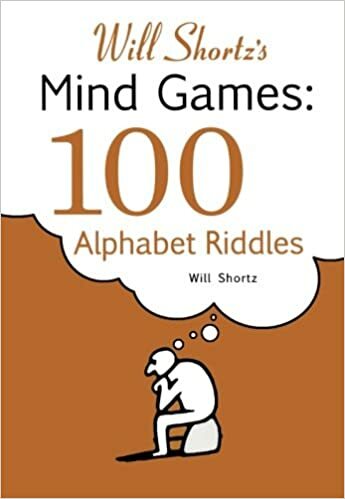 If you want something a bit more consistent, try out this alphabet riddle book that tests your brain power to come up with a two word phrase to match his clues. This book is really fun to use in a group, say on a road trip or while camping as it can be turned into a little competition to see who can blurt out the answer first! These puzzles are light, enjoyable, and easy for anyone to get into. I recommend this book to give to a beginner, someone interested in puzzles, or for yourself to use on trips and gatherings. What’s this? A workout plan devised by the puzzle master himself? This short, or long? 22 puzzle book is a combined effort between Shortz and Huang where they deliver a complex puzzle book. The puzzles have some introduction, and also a gauge as to your expertise level depending on how long it takes you to complete. 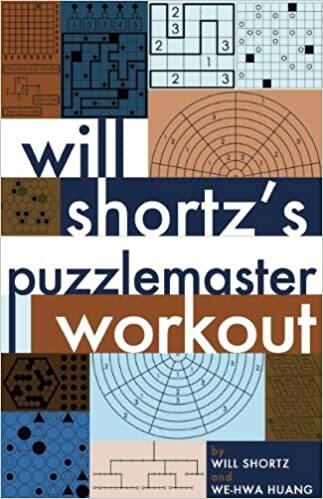 I would recommend this book for the SERIOUS puzzler who wants to up their game and see what the best are practicing on. These puzzles are also great to work together on and solve as a team if you know someone who likes puzzling as much as you. If there’s an omnibus (massive collection) Will Shortz book for a certain category of book he writes, it’s almost always my top pick. Why? 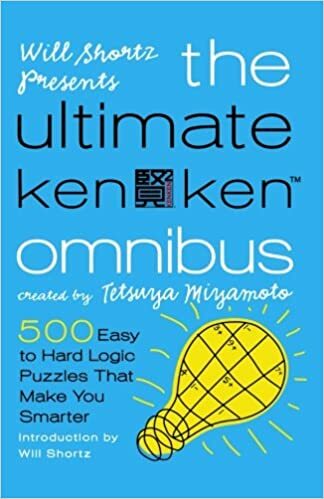 Because they pack the most content and are often multi-difficulty like this one – featuring 500 easy to hard puzzles for anyone and everyone to conquer while they improve their mental fortitude. If you want to get into KenKen, or you’re a KenKen vet, this is really a great option for anyone. KenKen is a relatively new game on the block (read: in the New York Times) as Will only got it approved in 2009. Which is why my top two recommended KenKen books are difficulty range books. Since it’s new, fresh, exciting, and maybe a little more challenging than most puzzle games I’d say go for two difficulty range books for your first two KenKen copies. Getting into the nitty gritty, the tough and challenging “gimme some more” KenKen we launch into the review of our difficult book in this category. 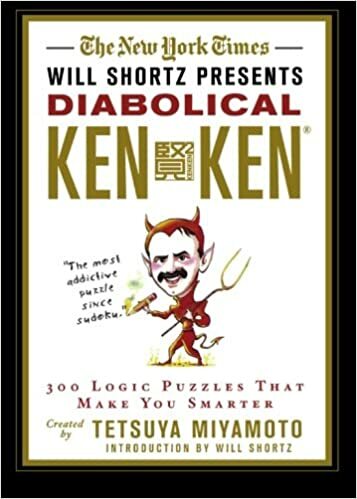 Diabolical KenKen is not for the beginner and I recommend quite a bit of experience before diving into the challenging books. Pick this one up if you’re a vet or for the experienced puzzler if you’re buying a gift. Enjoy! Note: Shortz writes/edits a ton of KenKen books so once you’ve nailed down the basics of a few difficulty range books, I would branch out to the specifically harder ones and go from there. Available in a deck of cards is this collection of 75 brain twisters that are great for the vehicle, around the table, or on a camping trip. If anyone’s looking for a new family game to add to their collection I always recommend this deck of awesome-ness. Check it out! TriBond – The board game! Man this guy Will, he really does it all – he even made a board game! 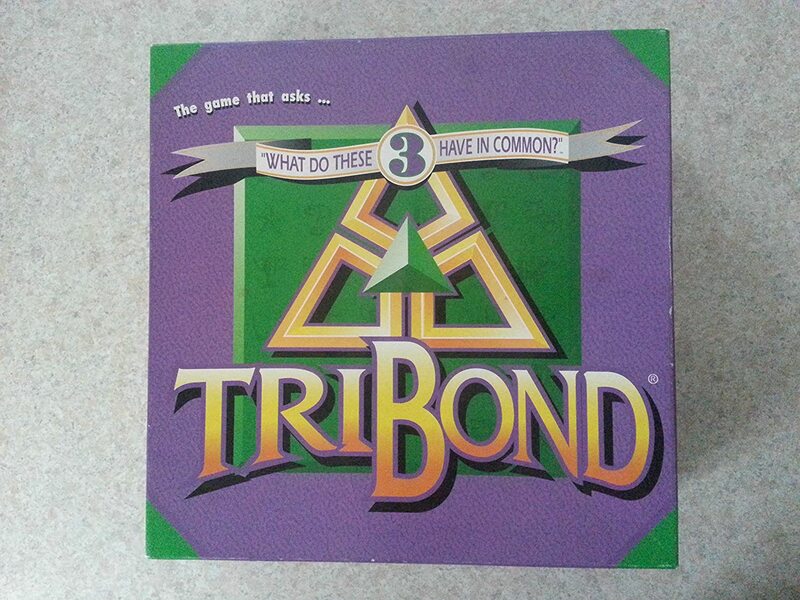 In the similar situation that I recommended the brain twister deck, I would recommend his board game TriBond. Look at the three items and answer the question “What do they have in common?”. This is a really great group game but beware some of them are reallllly hard and might leave you scratching your head through the night. 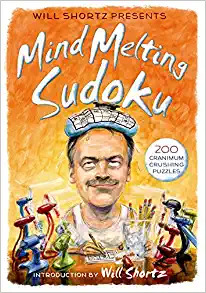 Now that we’ve gone through the categories of the best Will Shortz crossword puzzle books, Sudoku books, logic puzzle books, KenKen books, and even a few oddities it’s time to cover Will Shortz himself. Without him, this list and article wouldn’t be possible so let’s delve into what made this puzzle master so mysterious. 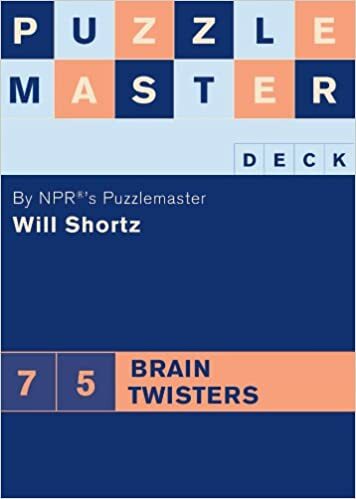 It seems like I could write forever about Will Shortz, but I know you don’t have all day so lets sum of this marvelous puzzle master as best as we can. The list goes on but I think you get the picture. I’m so happy to be writin this article in the hopes that his reat works will continue to reach more and more people. 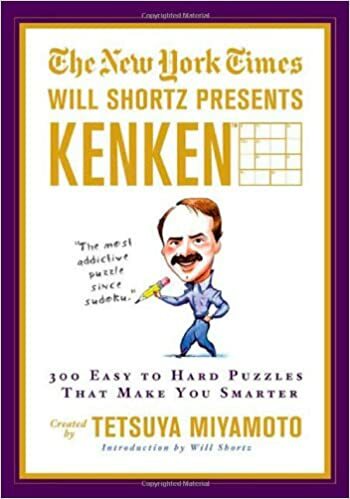 If you have the chance after reading this article to pick up a Will Shortz crossword puzzle book, Sudoku book, logic puzzle book, or Kenen puzzle – do it. Your mind will not regret it and neither will you. Happy puzzling – I hope you enjoy these Will Shortz puzzle books as much as I have.